Following up on our story from the other day, Joystiq recently sat down for a brief interview wit Keiji Inafune at the Tokyo Game Show. Naturally, the subject of Mega Man Legends 3 reared its head. Recapping his sentiments shared in now infamous 4Gamer interview, Inafune would go on to say he has hopes someone will fill his shoes, and see to it Legends 3 becomes a reality. "The two projects were really hard to even get started, because the title is kind of old," he said, referring to Mega Man Legends 3. "We were bringing it back. It wasn't easy for me to get the go ahead from the company, I was fighting against the company, and now it's been canceled." Regardless, Inafune still has hope that the torch may be picked up by someone on his former team, though he's not confident it'll happen. "I was kind of hoping that someone would come forth, again, and fight with the company and get that project going, but like I said, I don't know if anybody will have the guts to fight against the company right now," he admitted. And if a successor at Capcom has come forth, they've yet to identify themselves, though Inafune noted that he left behind "a really good team," any one of which could emerge as a future leader at the Japanese company. "I didn't choose anyone, but I'm kind of hoping that someone will come forth," he said. A lot of people, internally, want to see Legends 3 happen; this I am certain of. It's simply a matter of someone stepping up to the plate and taking up the initiate. Of course, that's probably easier said than done. 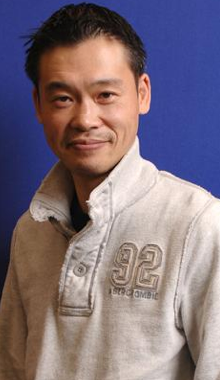 With Inafune out of the picture, the franchise is in desperate need of new leadership -- a passionate individual who will oversee what path Mega Man takes from here on out. New blood, so to speak. The good news is, Capcom is bustling with Mega Man fans who are just as, if not more passionate about the blue boy than Inafune. It may take some time, but I'm confident the franchise will fall into good hands. For all we know, the seeds of the future have already been planted. Lovely final words, Brian. I believe in that too. This is what I've been waiting for Inafune to say. Or should I say, to confirm us. Capcom rejecting MML's revival right off the bat. Inafune getting his way in the end, and stating how MM is the product of teamwork and not a company's work. And Brian finally talking about how someone passionate enough about the freanchise should pick over the burden left by Inafune. The day everyone stops selecting "Continue" and give up on him will be the day Mega Man dies. @Protodude Ah, I've never seen you refer to yourself as Brian here. I assumed if they wanted to refer to you they would use this name, not your Day Name. I can't blame Capcom for being antsy about making a sequel to a 10 year old game. I blame them for toying with us fans. The fans are already fighting the company. I wonder if someone inside will also follow. If this game gained a sequel 12 years after the original, I don't see why Mega Man Legends 3 can't be released. We got Mega Man 9 and 10 after all, didn't we? "I don't know if anybody will have the guts to fight against the company right now"
Devs have to fight with management to make fun stuff happen. I know this is how many software companies work but still, sad to hear that's how it really is. If there's any justice in the world some day management will look back at the mistakes being made now with a lot of regrets. By night, friendly neighborhood caped crusader Ponydude. Who will be charge in development of Mega Man Legends 3? Who will be responsible to make the game, along with Dev team and fans? And who will everything in your power to never let Mega Man Legends die no matter what! Step forward, whoever you are, and raise our support for Mega Man Legends 3! It shall be rise from the cancellation! Long live, Mega Man! Wow Protoman. Nicely said, and good job with the optimistic take on the situation. I wish more fans thought that way a little more often. Without saying too much - I work for one of the top 3 largest software companies in the world. I know the struggle of "fighting management", as Inafune has put it. I know how risky it can be for your career, and how much PERSONAL sacrifice it takes for someone to hope to be allowed to lead in the way Inafune says. It's much harder than people on the outside probably imagine. Like him, I hope such a person will be found, if not now, then soon. Words of wisdom, Inafune-san. I'm also glad you say it's not the fans' fault that you left Capcom like a certain someone said a long time ago in this blog. If the answer of "not enough people" is true, does a game need the help of over 9000 people to be developed? Isn't quality supposed to come before quantity? And hadn't the devroom both quality and quantity?